Often known as the science of uncertainty, statistics is of vital importance in modern society where almost all sectors rely on the collection, analysis and interpretation of data. 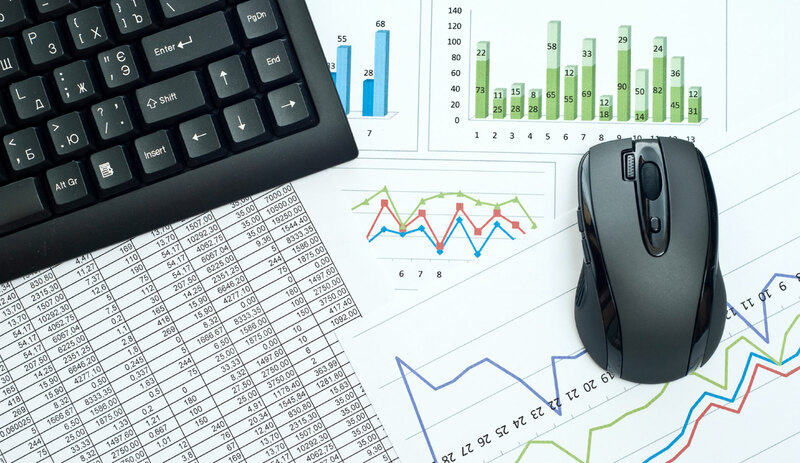 There is a great shortage of well qualified statisticians, data analysts and statistical consultants across the sector and this course has been specifically designed to meet that demand. Why study MSc Applied Statistics at Middlesex University? Applied statistics involves putting theory into practice - not only summarising and describing data, but extrapolating from it to draw conclusions about the population being studied. This is an applied, practically-orientated course that gives you advanced knowledge of statistical methods and the theory that underpins these methods. With a strong emphasis on relating theory to practice, you will develop your analytical, logical, numerical and problem-solving, skills that are in such high demand with employers. Middlesex is one of only four institutions in the UK which has been approved as a mirror for the statistical programming language R – meaning you will have access to software used in the industry. You'll also learn how to use standard statistical software like SPSS and Minitab. You'll have the freedom to choose the type of independent research project you do which can take the form of a theoretical dissertation, a survey or a more practical project involving a data set. If you're working, you'll have the option of basing your project at your workplace – making your studies even more relevant and beneficial for both you and your employer. What will you study on the MSc Applied Statistics? You’ll gain a thorough understanding of mathematical and statistical concepts and techniques and how to apply them to data sets. You’ll develop an advanced knowledge of probability, distributions, inference and stochastic processes, statistical modelling and methods of analysis, and will work on highly technical problems both independently and as part of a team. You’ll learn how to obtain different types of data from a variety of sources, including electronic databases; analyse it using programming and computer packages; and compare and choose between different methods of modelling and analysis. The course also covers big data, and the use of both small samples and big data to make judgments about large populations. This module aims to give students a solid grounding in some of the most important analysis methods. It looks at the different practices and assumptions made in different applied scientific disciplines. It provides students with an understanding of the empirical techniques commonly used in statistical analysis as well as the ability to use these techniques and critically evaluate and interpret empirical work. This module aims to give students a solid grounding in some of the most important methods employed by statisticians by providing a deeper understanding of probability theory and random processes. Students will be introduced to modern topics and techniques in stochastic processes. They will learn the relevant theory and gain the ability to formulate and solve practical problems. This module aims to introduce students to advanced techniques in inference theory. It develops students’ ability to understand statistical theory as well as applying it to computational methods. Students are introduced to a wide-range of advanced techniques in classical inference and are given a practical introduction to Bayesian analysis. On this module, students are taught the important concepts of descriptive statistical analysis applied on different types of data sets. The course will develop students’ appreciation of the task of a statistician for critically analysing data sets and will be useful to anyone considering a job in statistics. Students will develop a keener understanding about structures that underlie data observations. Data obtained from observations collected sequentially over time are extremely common. The purpose of time series analysis is to understand or model the stochastic mechanism that gives rise to an observed series and to predict or forecast the future values of a series based on the history of that series, and, possibly, other related series or factors. The quantity of data available to analysts is growing at an ever-increasing rate. This data has become a vital tool for decision-making in a competitive world. However, the size, which makes the data so valuable, also makes it difficult to analyse using traditional statistical methods. This module introduces the student to a variety of methodologies now employed to explore, analyse, categorise and visualise data from large data sets. This module aims to introduce statistical methods used for modelling and evaluating survival data as well as to implement estimation and test procedures. Survival models are used in bio-statistical, epidemiological and health related fields, as well as in research in the physical sciences including economic, financial, sociological, psychological, political and anthropological data. How will the MSc Applied Statistics be taught? Lectures and talks by visiting speakers will introduce you to concepts and techniques, which you’ll explore further through workshops, seminars, and presentations and discussions in class. Case studies will help you to relate theory to practice, and we’ll encourage you to think critically; some of your work will be done in groups. You’ll supplement all this with your own independent reading and study, including the use of online resources. You’ll be assessed through exams, tests and your dissertation, as well as other individual and group coursework. We also consider candidates with other relevant qualifications and individuals with a minimum of three years work experience. Those without formal qualifications need to demonstrate relevant work experience and the ability to study at postgraduate level. How can the MSc Applied Statistics support your career? You might also wish to explore your options in research or academia, or even complete further study at doctoral level. Statisticians work in many fields, from government to market research, measuring anything from changes in the environment revealing the effects of global warming to the effectiveness of medicines. There are a large number of employment opportunities for our graduates in medical statistics, medical research, commerce and industry, particularly the pharmaceutical industry. There are also many career opportunities both in areas directly related to statistics, such as economics and accountancy, and wider field in areas like health sciences, natural and environmental sciences, computing, engineering and law.